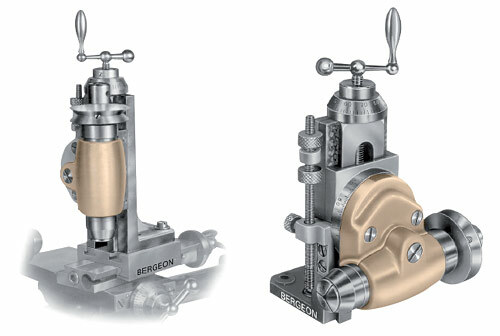 Bergeon Model 50 Lathe Accessories and the complete line of Bergeon Tools are available from Otto Frei, worldwide distributor of all Bergeon products. 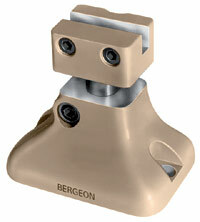 Bergeon 5412-4 Spindle with male and female centres. Bore diameter 7 mm. 1 tool post #1766-39, 6 cutters. 1 roller rest #1766-37, 1 saw-table #1766-38. One 3-Jaw self centering chuck, with reversible jaws #1766-15, one Universal self centering chuck #1766-17, and one 3-Jaw face plate #1766-19. For fitting in the hand rest. One stake holder runner #1766-35 with 10 stakes. With 6 cutters and clamping key. Set of six replacement cutters for Bergeon Lathe tool post 1766-39. 10 Crown chucks #1766-22, 1 milling cutter holder #1766-27. 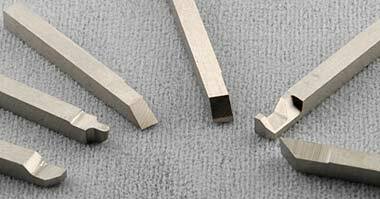 Five step-chucks, 8 mm diameter shank, step-chucks 5 mm to 23 mm diameter. One box chuck with 8 screws #1766-24, one grinding wheel holder #1766-26, one Jacob's chuck #1766-28, one wood screw #1766-20. One carrier chuck #1766-30, one centering plate with 10 holes #1766-32, Six wax chucks #1766-29. 1 Drum with grooves #1766-33, 2 Stakes-holders #1766-36, 1 universal runner #1766-31. 68 American style collets with 8 mm diameter shanks. 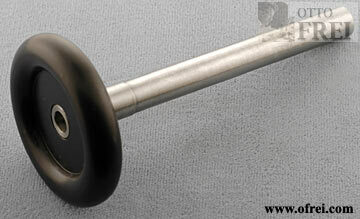 Sizes 0.50 mm to 7.20 mm in 0.10 mm steps, 68 chucks in all. Made by Bergeon. 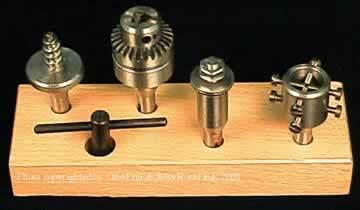 Very fine quality that can be used in any lathe that accepts 8 mm collets. 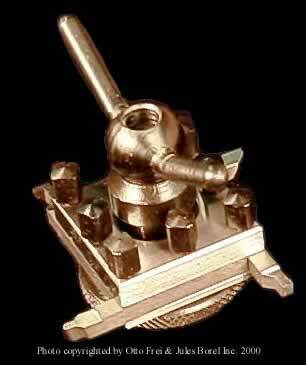 Diameter 160 mm, brass, to cut pinions, wheels, etc. 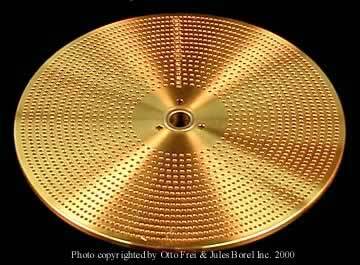 Centering plate, with tapered holes from 0.15 to 1.40 mm and 8 points from 0.15 to 0.40 mm. 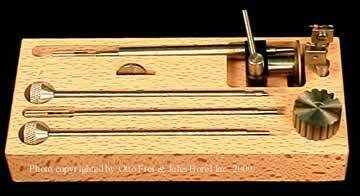 One double centring runner, one, centering runner for countersinking, one each drillstock runner for 1 mm & 1.5mm drills, one clamping key. 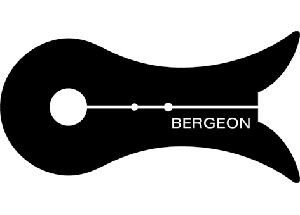 Bergeon 5412-02 Headstock, uses American Style 8 mm Lathe Collets/Chucks. For chucks diameter 8 mm. 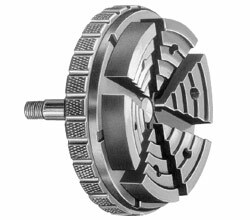 External step chuck with overall diameter of 70 mm. 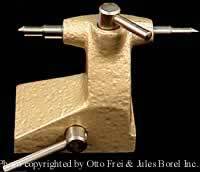 Thread shank diameter of 8 mm to fit watchmakers lathes like Boley, Favorite, Leinen, Schaublin, Star and many more. 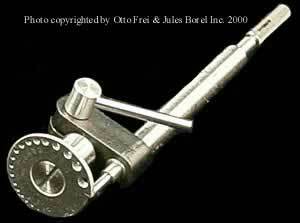 To take split chucks of 8 mm shank diameters, for fitting to slide rest No 11. 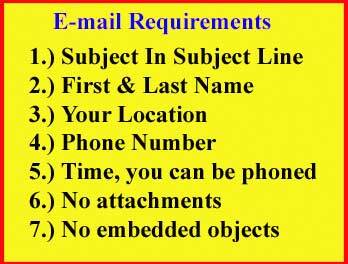 Used horizontally or vertically. Length 275 mm. Depth 30 mm. For turning workpieces up to 140 mm in diameter. 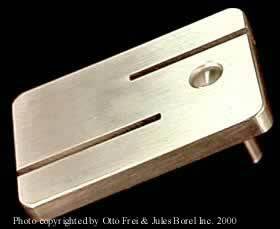 Secured by 2 screws or a bolt. 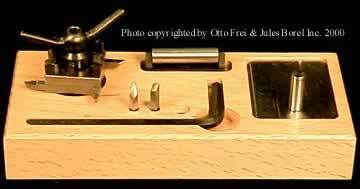 Driver opener, on wooden stand which may be adjusted on a bench vice or screwed on the work table with 12 assorted driver brides. Replacement work-drivers for Bergeon 30090 driver opener. Assortment includes one of each size (small hole diameter x large hole diameter): 0.25 x 0.30, 0.32 x 0.35, 0.35 x 0.38, 0.40 x 0.45, 0.45 x 0.50, 0.55 x 0.60, 0.65 x 0.70, 0.70 x 0.75, 0.75 x 0.80, 0.85 x 0.90, 0.95 x 1.00, 1.05 x 1.10 mm. 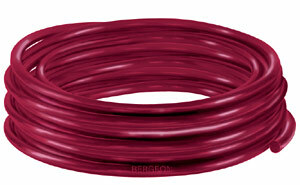 Plastic transmission belt - Round. Red colour. Very supple, absolutely noiseless and without junction. 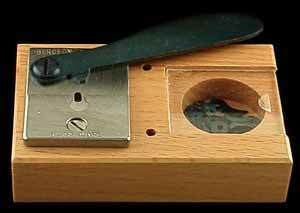 This belt may be cut at the required length and joined in a few seconds with hot knife by melting ends together. 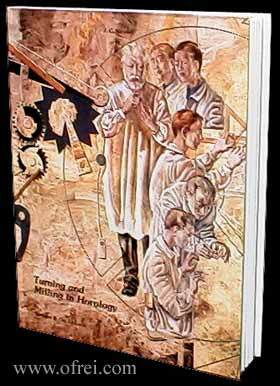 By Donald De Carle this a user's manual on the operation of watchmakers lathes. 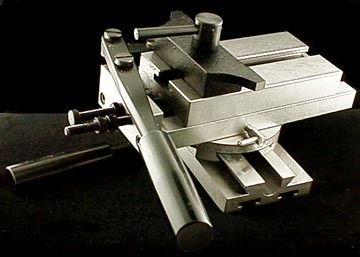 Again, Donald De Carle has written the textbook on working with watchmakers lathes. 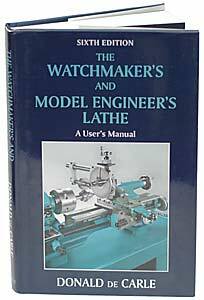 This is the simply the best book written on using watchmakers lathe. 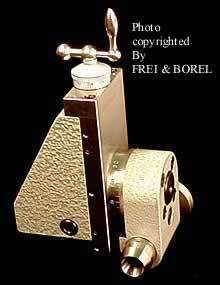 A complete breakdown on the modern Bergeon watchmakers lathe is cover in 88 pages, with 450 photos and drawings. 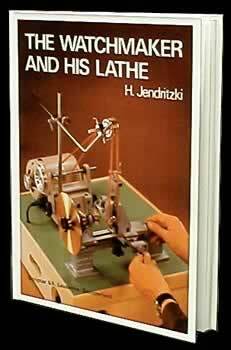 No other book provides the reader with this much information on using a lathe and all its accessories. Size 21 x 27 cm. This is a 60 page book, with several examples and illustrations along with detailed instructions for the use of Bergeon-Technoli cutters # 7810 and for gear cutters #6375 and #6376. With J. CI. Nicolet, a master clockmaker as its author the examples are mostly clock parts, while a watch escape wheel does get some acknowledgment.